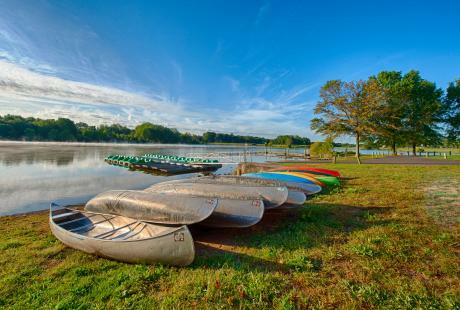 You know what could make a yoga class along the beautiful Bucks County countryside even better? How about downward-dogging alongside adorable puppies! Spend the weekend in Bucks County to check puppy yoga off your bucket list, plus explore tons of exciting festivals and concerts perfect for the whole family! Visit the Last Chance Ranch to stretch and rejuvenate in a puppy yoga class filled with adorable dogs providing in-class “assistance”. Maybe you&apos;ll make a new furry friend to take home with you! 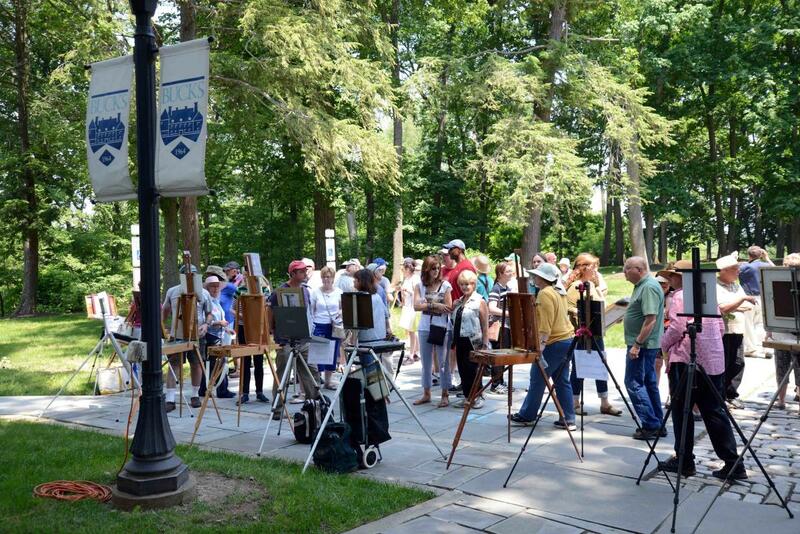 The Bucks County Plein Air Festival is back for its third year, inviting locals and visitors alike to watch as 30 artists from around the country create beautiful works of art surrounded by Bucks County’s gorgeous towns and parks. Celebrate Neshaminy Creek Brewing Company’s sixth birthday this Saturday, promising tons of live musical performances, mouth-watering food trucks and plenty of delicious beer! 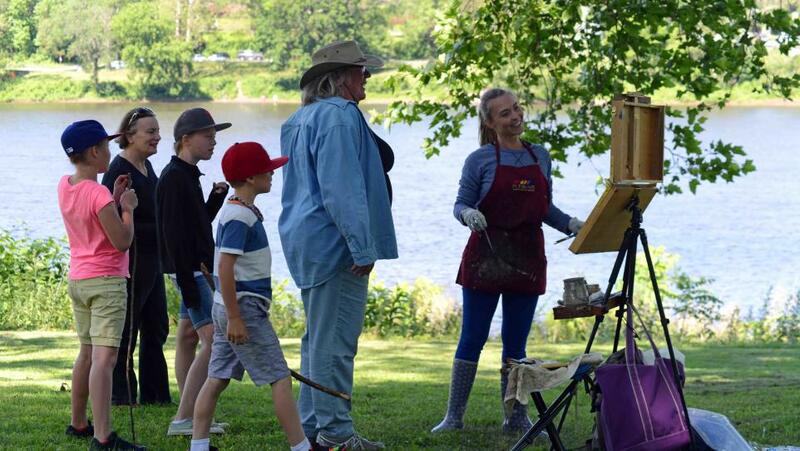 Thirty artists from all over the United States will participate in the third annual Bucks County Plein Air Festival to produce art from life – as opposed to in a studio. The juried show awards more than $15,000 in prizes and culminates in two signature events, Bucks County Community College&apos;s Tyler Tasting Party on June 8 and a public festival on June 9. When: June 8 – 9, 10 a.m. – 4 p.m. In an era where seemingly everything from “Roseanne” to “Will and Grace” has received a reboot, God also has decided to take a fresh look at one of his greatest cultural achievements, The Ten Commandments, in the hilarious Broadway comedy, An Act of God. Snipes Farm and Education Center is visiting the Bucks County Children’s Museum and they’re bringing along a few friends! Meet (and pet!) an adorable bunny and friendly chicken as Snipes educators answer any and all questions. When: June 8, 10 a.m. – 12 p.m. Explore the Bucks County Wine Trail for its second annual Bucks County Wine Month! The eight family-owned wineries will celebrate in their own unique ways. Visit the wineries and enjoy live music, wine tastings, specialty pairings, wine slushies, new wine releases, Father&apos;s Day festivities and more! 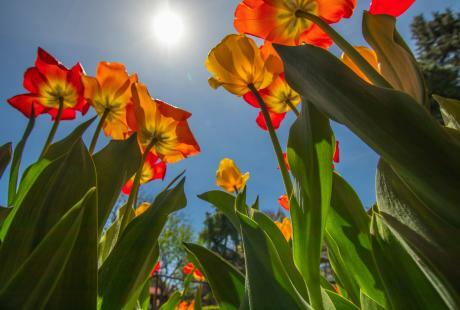 When: June 8 – 10, 12 – 5 p.m.
Bring the whole family to relax on the lawn and enjoy great LIVE entertainment by local musicians, while sipping on locally made Rose Bank Winery wines or PA craft beers at the Market at DelVal. When: June 8, 6 – 9 p.m.
Party at Shady Brook Farm all summer long…and you’re invited! Come for live music by local bands, wines by Rose Bank Winery, locally brewed craft beer, signature cocktails featuring PA distilled spirits, great food, lawn games, and fun for the kiddos. When: June 8, 5:30 – 10:30 p.m. Celebrating their 25th anniversary in 2018, the Bucks County-based rock-n-roll band Wineskin brings their electrifying live performance to the James A. Michener Art Museum’s Friday Night Band Jam. Reservations are required. When: June 8, 8 – 10 p.m. The Mercer Museum’s “Racing: A Need for Speed” exhibit explores the colorful history of racing in Bucks County, PA and the nearby Delaware Valley, from the footraces of the native Lenape to the fairs and horse tracks of the 1800s, to the auto speedways and bicycle velodromes of the 20th century. When: June 8 – 10, 10 a.m. – 5 p.m. The Sum of Us follows a widower and his gay son in a heart-warming play about wanting love but being afraid to look for it; about finding love and being afraid to go for it; and about having love and not being able to hold onto it. “American Moderns: The Legacy of Gerry and Marguerite Lenfest?” features 27 works from Gerry and Marguerite Lenfest that highlight the development of modern art in America. “View Finders: Four Photographic Voices” illuminates the work of four local, contemporary photographers who represent four distinct approaches to the medium. When: June 8 – 10, 10 a.m. – 4:30 p.m. Enjoy tasting award-winning Crossing Vineyards wines and local beer as you enjoy live music on the winery’s gorgeous property! 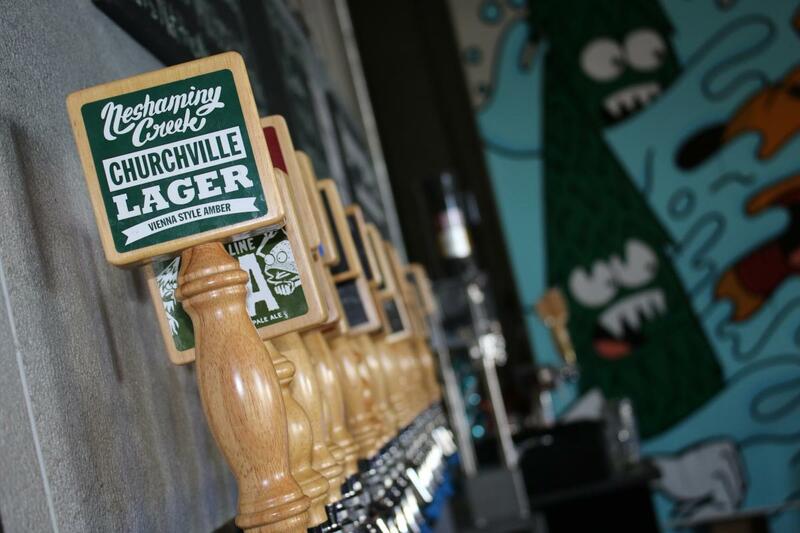 When: June 8, 7 p.m.
Join your friends at Neshaminy Creek Brewing Company for their Six Year Anniversary Party! The celebration features the music of Municipal Waste, Comeback Kid, Mind Power and Activate! A full day of beers, music, food trucks, vendors, family fun and much more! When: June 9, 1 – 7 p.m.
It’s yoga at its cutest! In this class at Last Chance Ranch you’ll stretch and flow, relax and rejuvenate; all while being visited by playful puppies and dogs that are happy to meet you! Who knows, you may even decide to take one home! Reservations are required. When: June 9, 10 – 11 a.m.
Join the Churchville Nature Center every Saturday morning for an early morning bird walk with an experienced bird watcher. When: June 9, 7 – 9 a.m.
June is National Pet Month, so spoil your furry friends with a trip to Rice’s Market! They will have pet supplies, toys, and treats that your favorite animal will love. Well behaved and leashed dogs welcome to attend! When: June 9, 7 a.m. – 1:30 p.m. 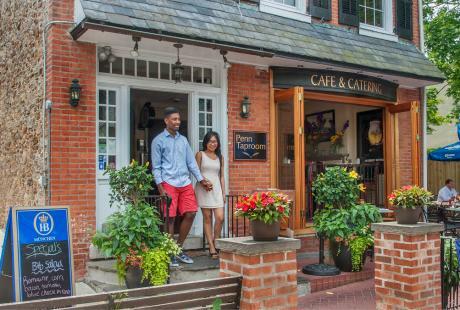 Experience the vibrant and authentic downtown Yardley every Second Saturday evening. 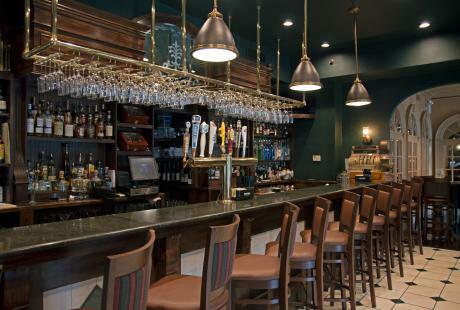 Guests can look forward to specials, events, and activities in a variety of local businesses! Enjoy fantastic Dixieland jazz music and performance under the open sky with the New Vintage Dixieland Band! This is a BYOB and picnic-friendly event, so explore nearby take-out eateries around Yardley. When: June 9, 6 – 8 p.m. 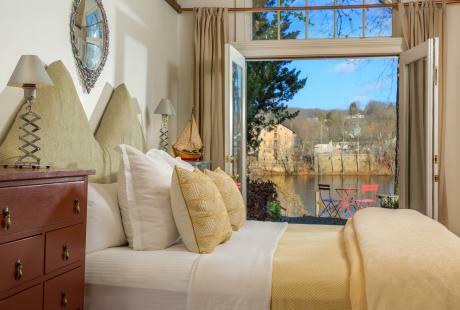 Bucks Beautiful&apos;s tour will showcase unique properties in historic Doylestown Borough featuring a variety of architectural and landscape styles, with kitchens and gardens being the main focus of this self-guided tour. Reservations are required. When: June 10, 10 a.m. – 4 p.m. The Bristol Borough Business Association hosts the 40th Annual Bristol Antique Auto Show, the longest running antique auto show in Bucks County. Held since 1978, a bevy of custom and classic American and foreign cars are proudly displayed while professional judges award trophies in various categories. When: June 10, 11 a.m. – 4 p.m. Goat yoga is returning to Mountain Pride Farm! Downward dog among furry goat friends on this gorgeous countryside farm. When: June 10, 9 – 10 a.m.
Run, Walk, Stroll, or Roll against bullying! 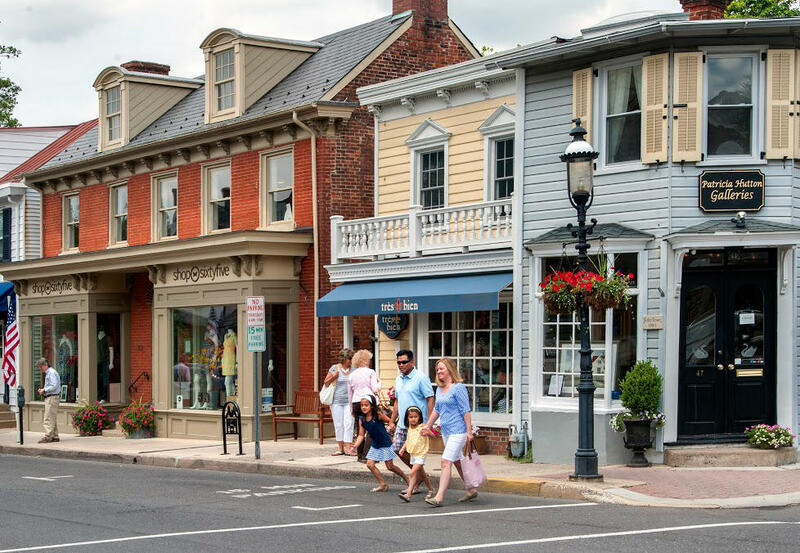 Join NOVA in Doylestown for family friendly activities, raffles, and character appearances! Proceeds from the run benefit the Network of Victim Assistance&apos;s Prevention Education initiatives. When: June 10, 8:30 – 11:30 a.m.
Join the Casa Toro for a unique summer kick-off event! Learn the secrets behind creating a beautiful floral centerpiece that you can take home, plus get a behind the scenes look at how to craft the perfect summer margarita. When: June 10, 1 – 3 p.m.